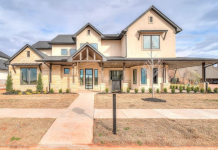 This home was sold for $3.5 million and includes 6 bedrooms, grand foyer with two staircases, library, home theater, gym, elevator, and a salon. 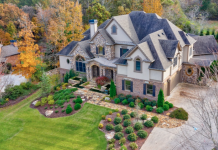 Captin Construction builds some of the finest homes in the Atlanta area. They built the Wellington Lake Estates development that is located at Victor Court and Moccasin Trail in Loganville. The homes that Captin construction have built and are building are architectural masterpieces. The company has been featured in the Atlanta Business Journal and countless newspapers. Two of the homes built by them are currently on the market.